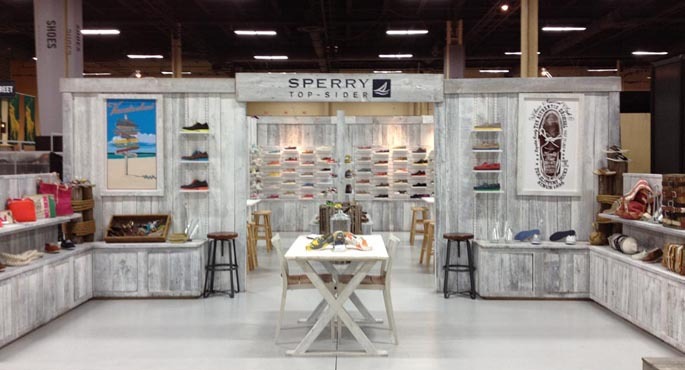 Program Objective: Design a new expo booth to showcase Saucony running shoes at the country’s largest marathons. Solution: Turtle Transit designed, engineered and built a 20’ X 40’ mobile exhibit to support Saucony and its efforts to introduce its latest line of running shoes to athletes around the country. 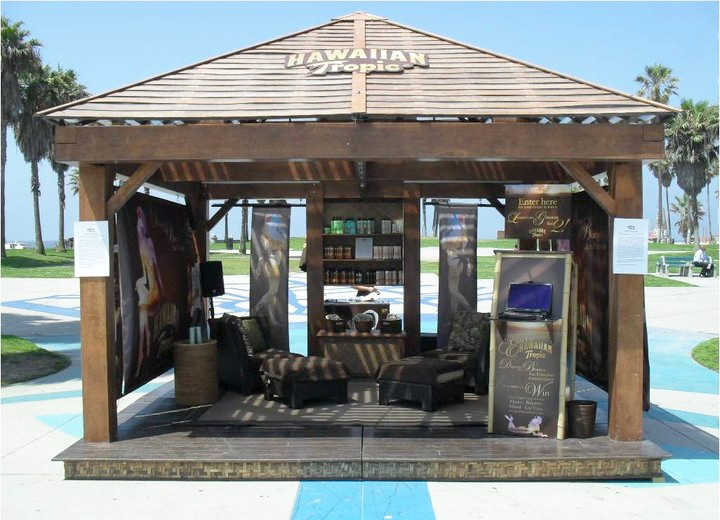 The exhibit was designed to be set-up in different size venues and retail environments, and could scale as large as 20’ X 70’ to display an impressive variety of shoes. 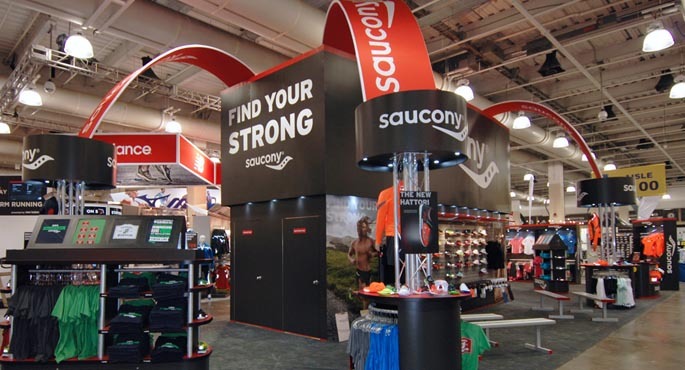 The exhibit featured branded awnings that towered over the exhibit and connected to retail displays merchandised with Saucony performance apparel. 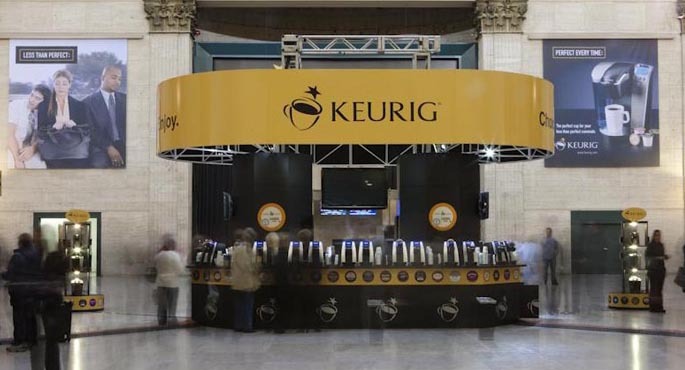 The exhibit also featured custom lockers that displayed products, product nesting tables, and a custom cash wrap for sale check-outs. The highlight of the exhibit was an immersive center island that was designed to display a large variety of shoes, and included fitting rooms for customers. The entire environment featured interchangeable graphic panels so that Saucony could change its messaging for each marathon it was attending. Turtle Transit also manages the site logistics, transportation and set-up of the Saucony Expo Booth.